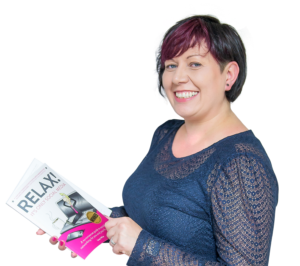 I created the Social Media Planner as a practical follow-up to my award-winning book, Relax! It’s Only Social Media. In March 2018, I was delighted to find it included in The Independent’s list of 9 best books for entrepreneurs (which I’m guessing is how you arrived at this page). The 2018 planner has now been revised and I have created a full range of materials to help you plan your social media activity, and get results. Today, I run a successful marketing consultancy, providing marketing advice, practical hands-on support and training. I am a course instructor for LinkedIn Learning and an accredited Facebook trainer for Enterprise Nation’s #shemeansbusiness campaign. Most importantly, I know how to plan for marketing, and how to get results. That’s why I’ve created this planner: to help you achieve results in your business. You might own a one-person business, or you might be responsible for marketing a larger business. I know just how hard it is to keep focused and to keep up with the changing world of social media. Day-by-day, week-by-week, month-by-month, the social media planner helps you tackle all those social media tasks that have previously left you feeling overwhelmed. It will help you get into a routine and focus on what you need to do to achieve your business goals.